Latest: FynBloem receives CSR award for Socially Responsible Development! Read more here. 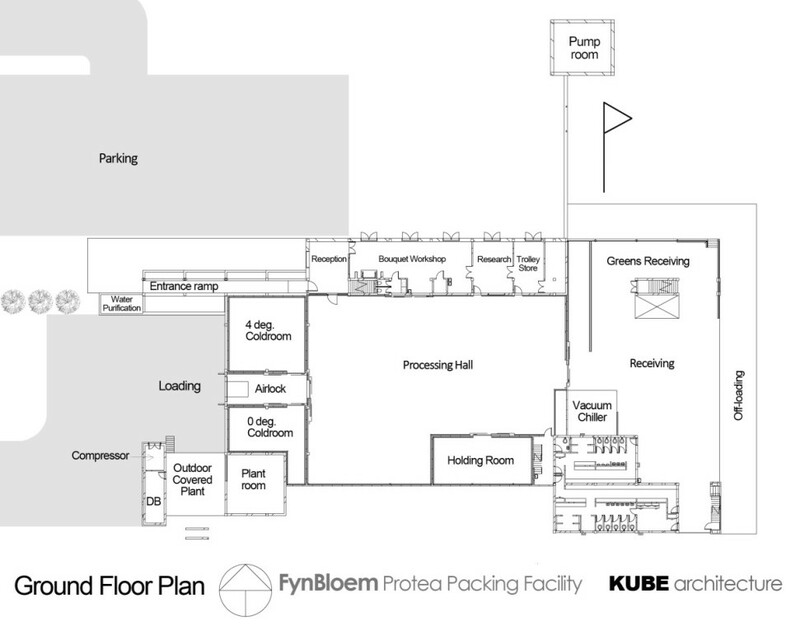 Cape Town based architects, KUBE recently completed a first-of-its-kind Protea packing export facility in the Riviersonderend valley. 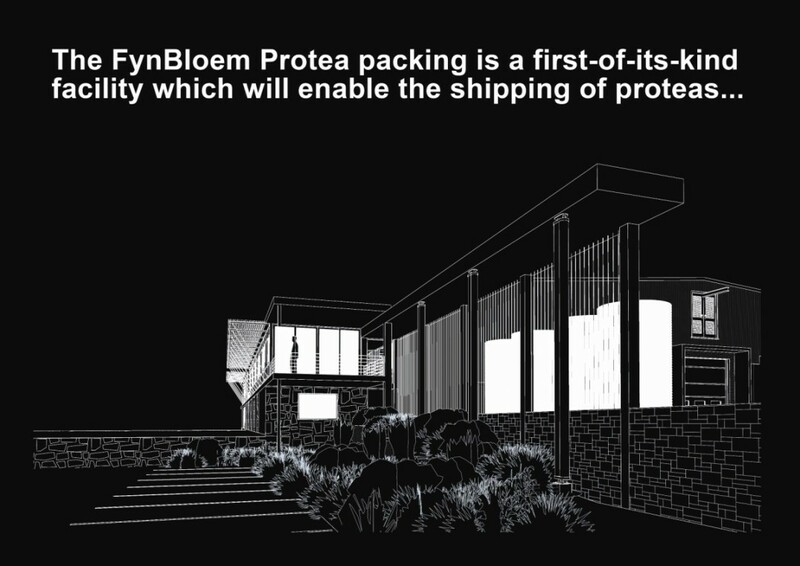 The client, a South African and Danish partnership have been exporting Proteas to the United Kingdom and Europe for a number of years under the Fynbloem brand. 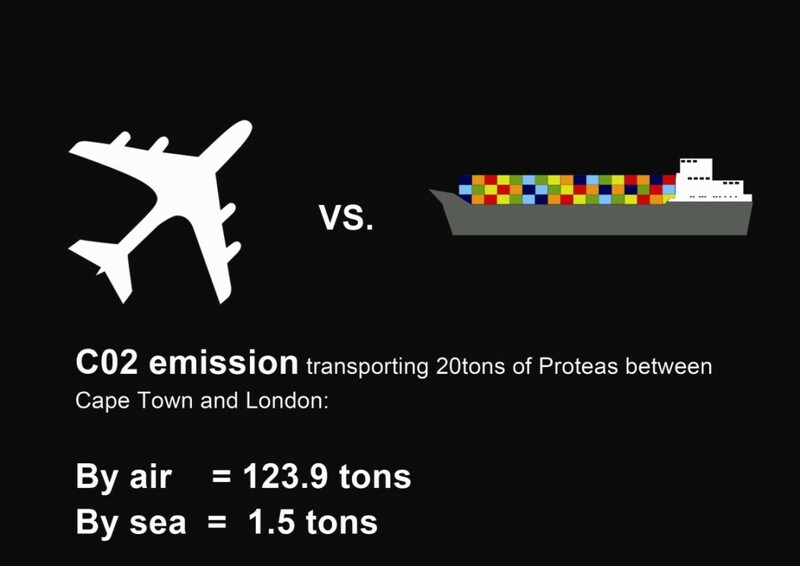 Previously the product was transported via airfreight but now, in an endeavour to reduce the carbon footprint and cost, our client was looking at sea freight as an alternative – an entirely new concept for this type of product, resulting in a new set of challenges. In addition to the above, the client principally supplies Marks & Spencer in the United Kingdom. 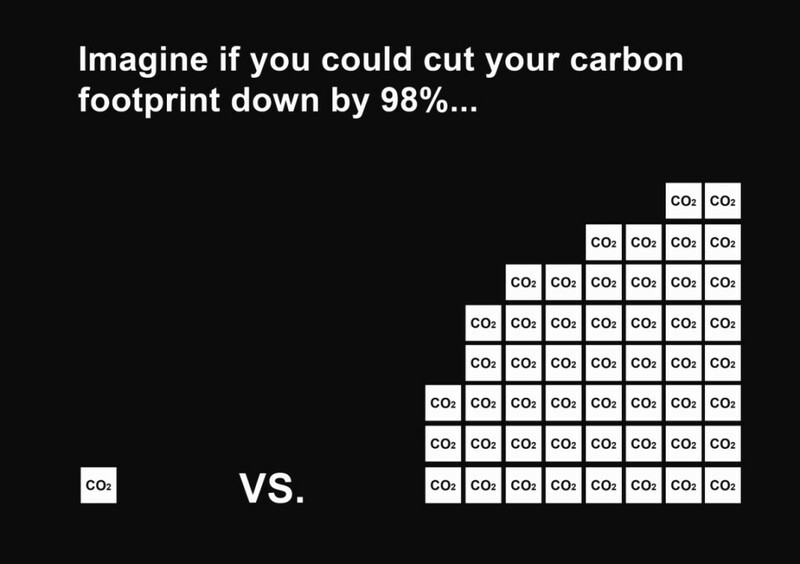 M&S are applying increasing pressure on their suppliers to “do the right thing” and have called this their “Plan A” initiative which was launched in January 2007 and is aimed at combating climate change, reducing waste, using raw materials and trading ethically. (You can read more about this here. 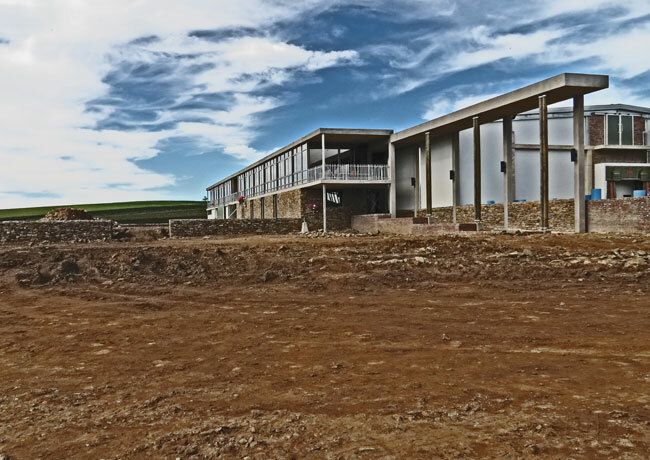 Villiera Wines just outside Stellenbosch, have already implemented this philosophy and are the first in South Africa to be certified Plan A compliant. It was truly inspiring when visiting this estate to see what can be achieved by following the criteria set. 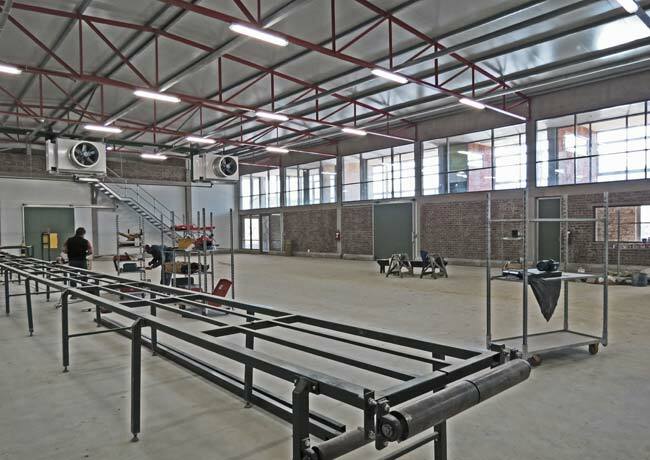 A warehouse facility wherein the packing process takes place will be developed in 2 separate phases of approximately 3000m2 each. 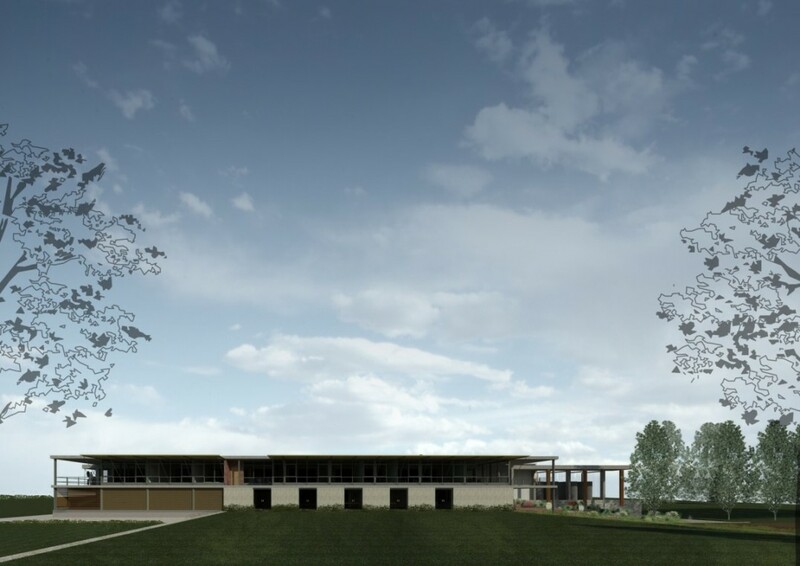 In addition, phase one will also accommodate a smaller public component which will house offices, meeting rooms and exhibition/display facilities of approximately 300m2. Should demand necessitate, the possibility of a third warehouse phase would be added in the future. 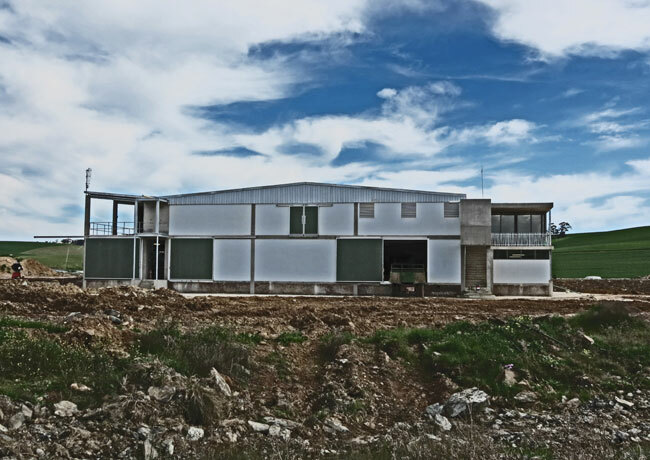 The administrative component which forms the public interface has been positioned on the north elevation in order to shield the northern face of the warehouse from sun as well as screening the warehouse itself from the public. Cooling costs inside the warehouse, where a constant temperature of 10C˚ is crucial, can be cut down significantly in this manner. 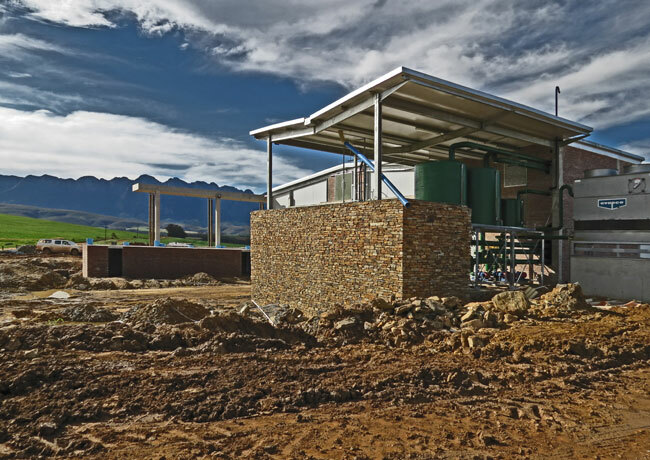 Water reticulation: As the Facility is situated in a water scarce region, water is the area’s most precious resource and, water stewardship receives the highest priority. 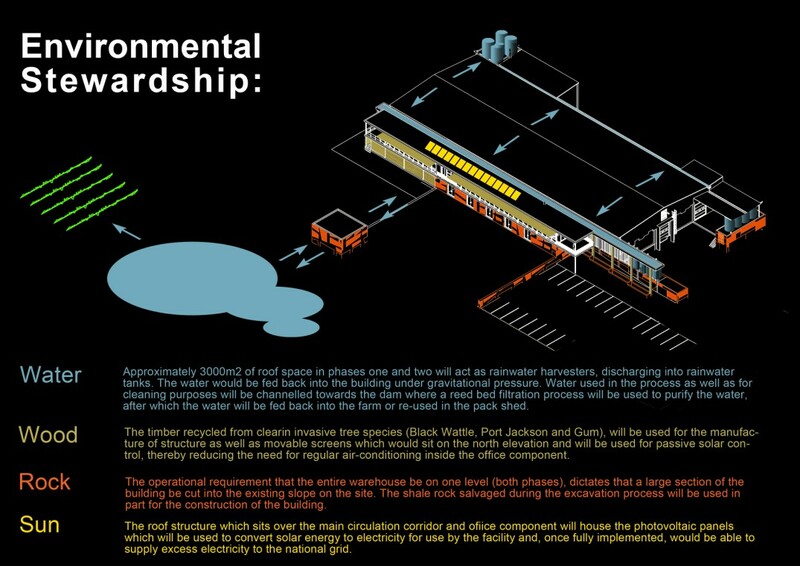 Approximately 3000m2 of roof space in phases one and two will act as rainwater harvesters, feeding water to box gutters between the various building components. These gutters would, in turn, discharge into rainwater tanks. The water would be fed back into the building under gravitational pressure. 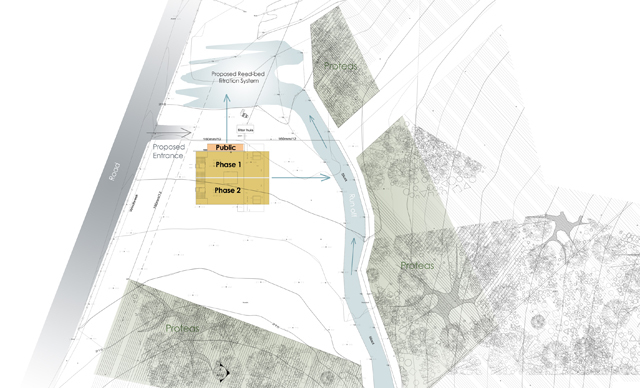 Conceptually these waterways will be mirrored inside the actual warehouse where the water used in the process as well as for cleaning purposes will be channeled towards the main waterway, which runs perpendicular to the main circulation corridor. This waterway will transport all the water to the dam where a reed bed filtration process will be used to purify the water, after which the water will be fed back into the farm or re-used in the pack shed. Inside the pack house transpiration will be restricted due to effective cooling, meaning that flowers will only need to drink once instead of twice. 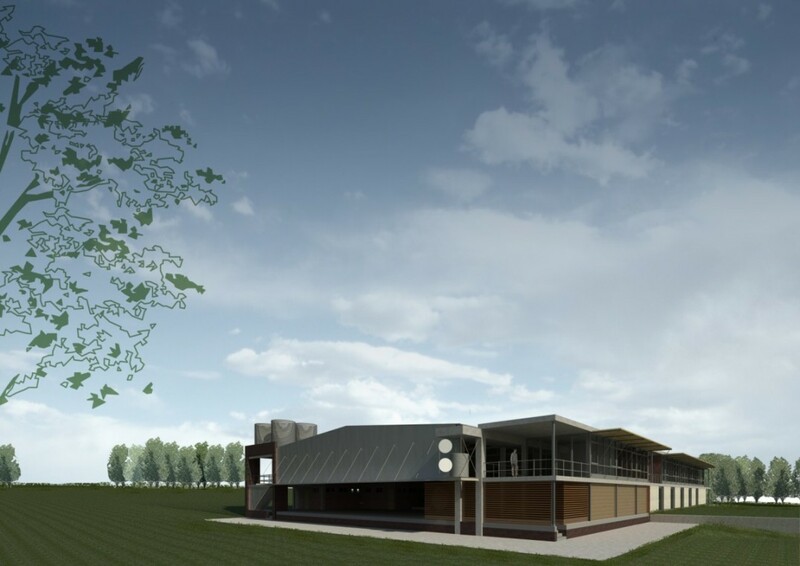 The roof structure which sits over the main circulation corridor will house the photo-voltaic panels which will be used to convert solar energy to electricity for use by the facility and, once fully implemented, would be able to supply excess electricity to the national grid. 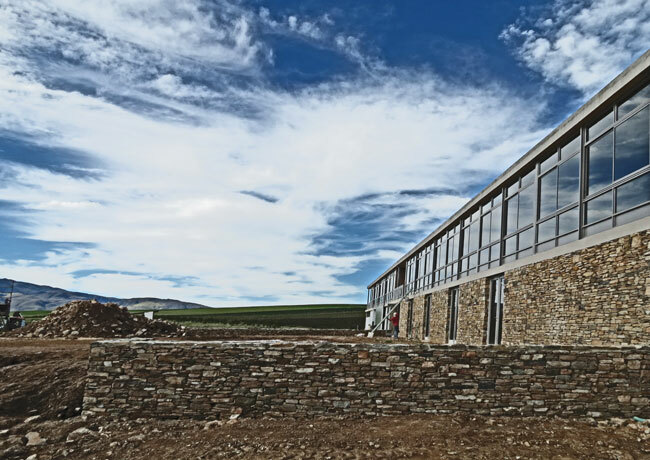 80 % of the fynbos used is obtained from the surrounding mountains, thereby reducing the transportation of raw materials to the pack house and the emission of CO2. 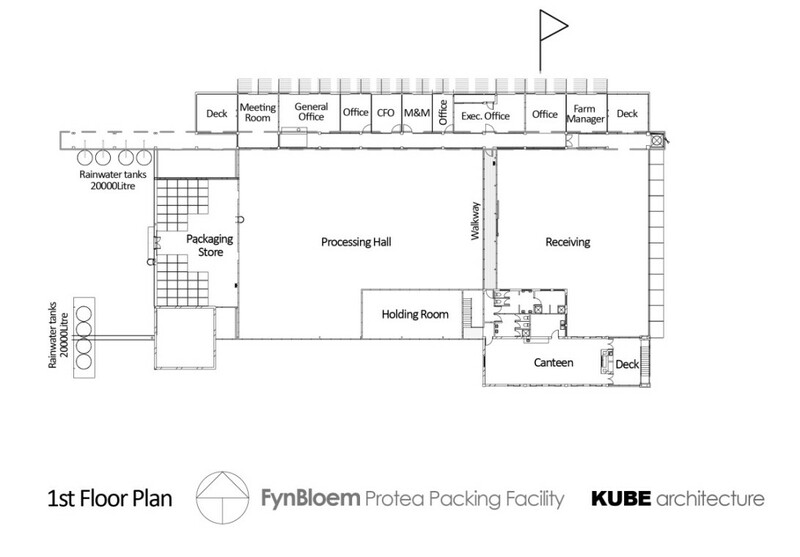 The new pack house will facilitate an end- to-end production system, reduscing the transport of flowers and raw materials (which includes waste) to Cape Town for processing and packing. Cooling time will be reduced by installing the most advanced vacuum cooler. Anhydrous ammonia(R717) as refrigerant is a natural gas, having no negative environmental impact. Alien Vegetation: The client has been in the process of clearing the farm of Black Wattle, Port Jackson and Gum, all of which are invasive tree species which constitutes a serious threat to our indigenous vegetation and water courses. The timber recycled from this process will be used for the manufacture of some of the elements of the design such as the movable screens which would sit on the north elevation and will be used for passive solar control, thereby reducing the need for regular air-conditioning inside the office component.Plant waste generated by the pack house will be mulched and used for compost. 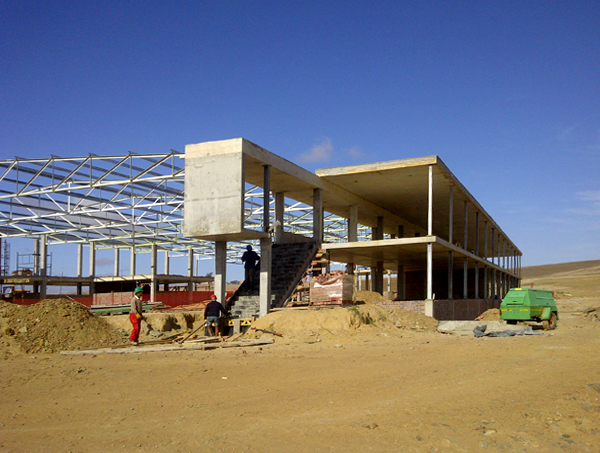 The operational requirement that the entire warehouse be on one level (both phases), dictates that a large section of the building be cut into the existing slope on the site. 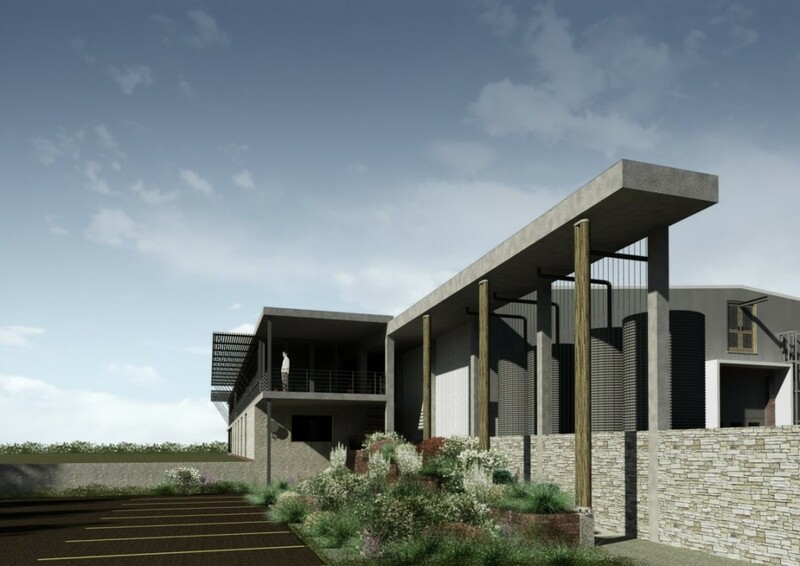 The shale rock salvaged during the excavation process will be used in part for the construction of the building thereby tying it comfortably into the landscape which it inhabits, with the additional advantage of significantly lessening the visual impact of the building by nestling it into the landscape. 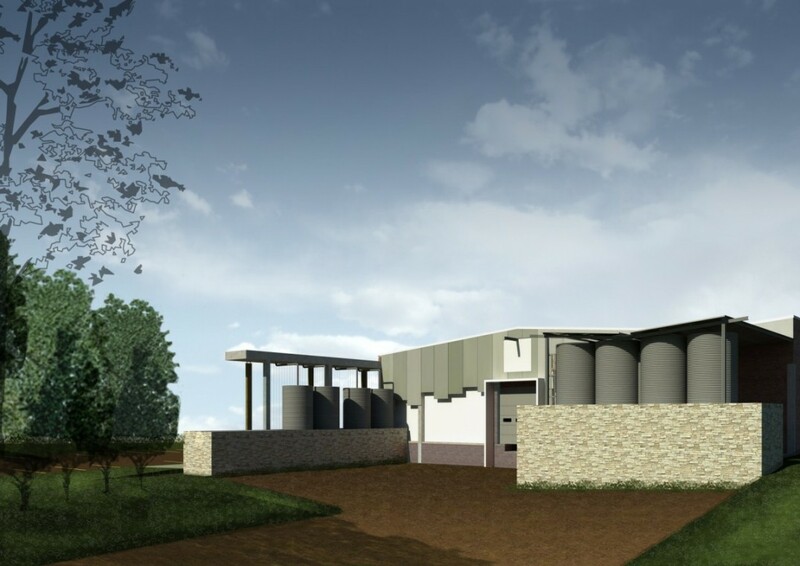 The use of sand and stones from the farm for the construction of the packing facility will also significantly cut down the CO2 emissions. P5 light will be used for energy efficiency. An electrical engineer has been employed to ensure the most efficient electrical system, which will be a huge saving. As there is no standard pack house against which to measure it is not possible to calculate the saving. 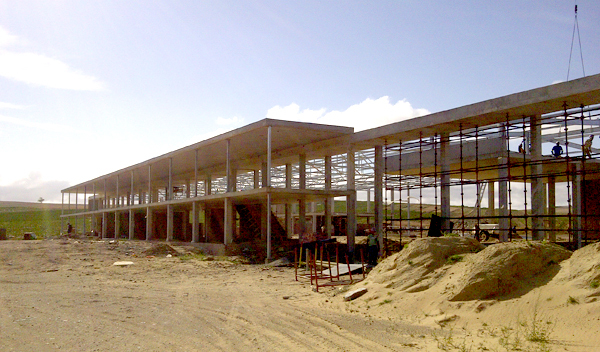 TABS (Thermally Activated Building System) is the technique by which the concrete structure of a building is used for heating and cooling of spaces. Cooling through absorption of energy from the space, or heating by the release of stored energy into the space. 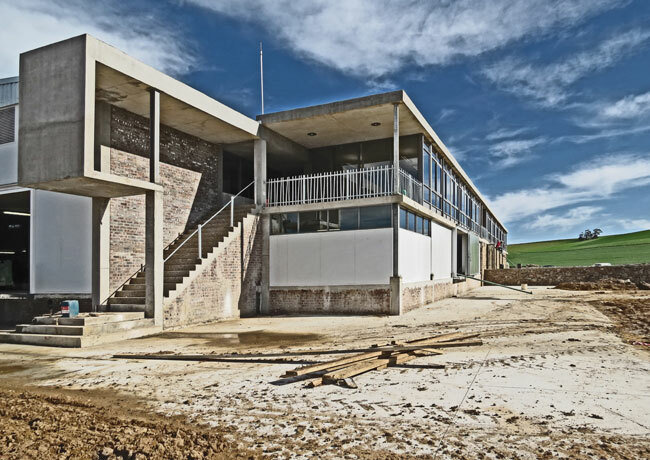 The building’s concrete structure is thermally activated by pumping water through pipes embedded in the structure. Hot water circulates through the concrete structure resulting in heating of the space whereas cold water cools down the interior. The thermal inertia of the concrete mass utilized also allows for “off peak” heating/cooling with advantageous electricity tariffs which has significant commercial impact. In Germany 3 out of every 10 new buildings designs incorporate this strategy from concept level. 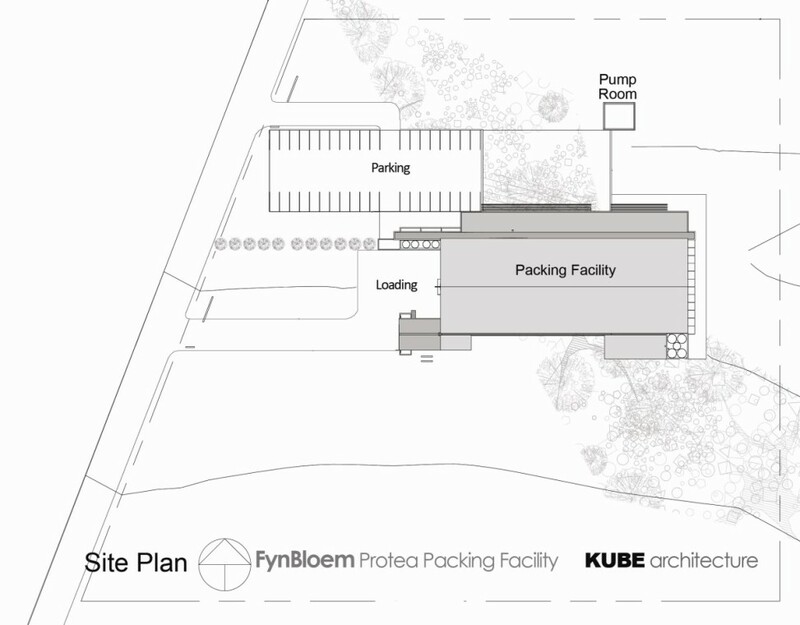 In South Africa the FynBloem Protea Packing Facility is one of only 6 commercial scale projects to have employed this system. 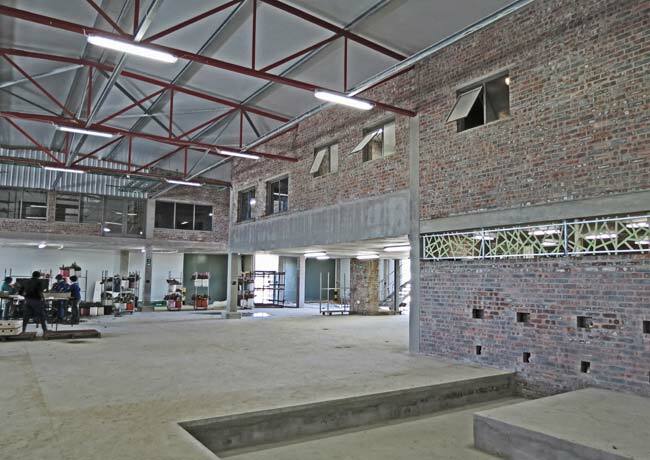 During winter FynBloem uses the heat generated by the refrigeration equipment of the cold store for heating the water which flows through the 540m2 floor and roof slab of the office component, thereby heating the space with virtually no help from Eskom. 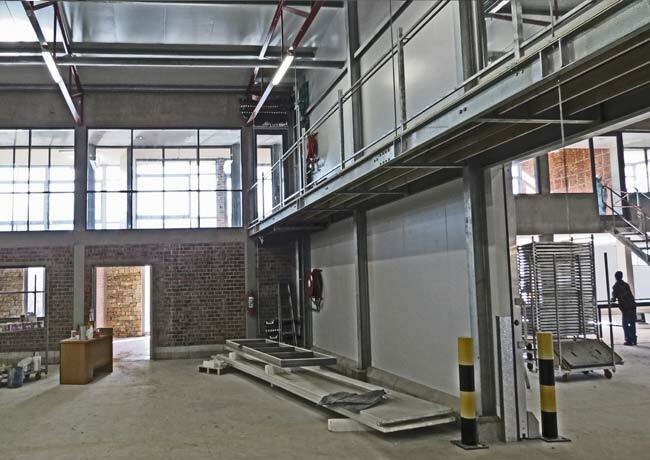 In summer when cooling of the occupied building space is required the refrigeration plant cools the water which circulates through the building’s concrete structure. Due to the large exposed surface areas used when heating/cooling with TABS, the resultant cooling water temperatures are higher than conventional system requirements and the required heating water temperatures are also lower than with conventional systems, hence the terminology “low temperature heating and high temperature cooling” is commonly referred to when using TABS. This feature considerably improves refrigeration cycle efficiency (COP) and also aligns with passive system concepts of which the heat recovery concept in this particular project is a fitting example. 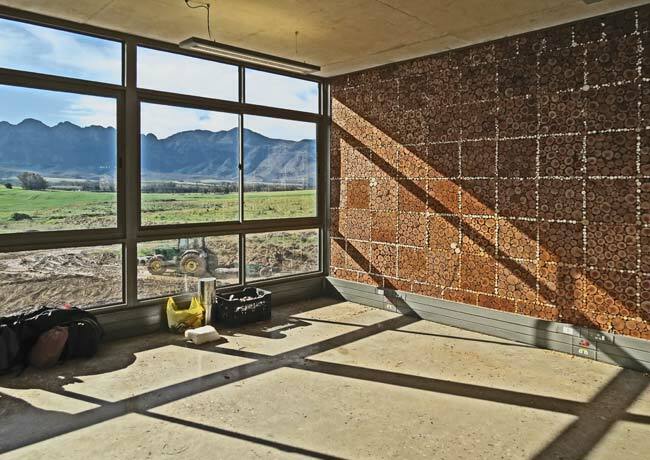 Free convection between the room air and heated/cooled concrete surface also means that no forced convection is required, eliminating the use of fans. 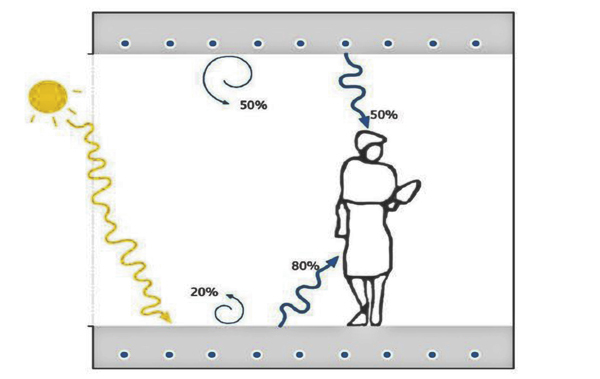 The lowered temperatures of the wall, ceiling and floor surface in close proximity to occupants also allows for higher room temperatures in summer, not affecting occupant thermal comfort negatively, which reduces the Nett energy transfer requirement to and from the building space. TABS is predominantly a surface based climate conditioning system as opposed to Air Conditioning which is predominantly an air based conditioning system, thus the concept of natural ventilation perfectly combines with the greater TABS concept, enabling windows to be opened for fresh air ventilation as required by the building occupants. 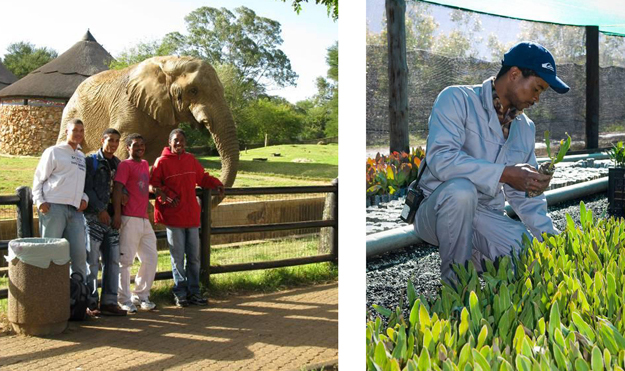 Job skill training: Fynbloem continuously provides practical training to our staff, often enlisting the help of specialists or external companies, for instance tractor and forklift training, flower arranging, management of plants in terms of pruning, disease control etc. 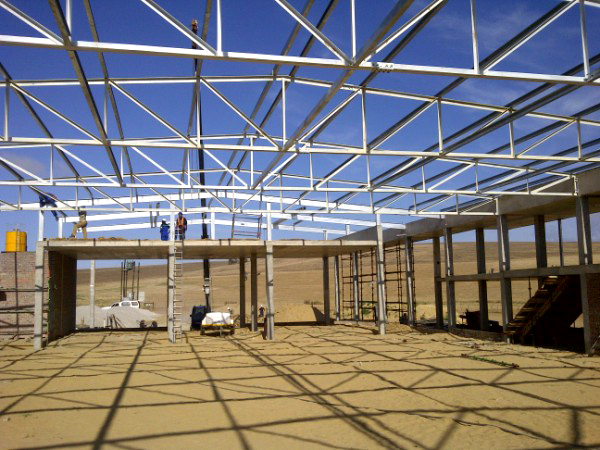 Safety training: Fynbloem has a high regard for on-the-job safety. Selected staff members have been trained in first aid, fire fighting, chemical handling, etc. The knowledge is passed on through a train-the-trainer programme. Best practices training: As part of ongoing learning, selected staff members visited some of the best nurseries and producers overseas. Other companies are visited to learn environmental best practises and staff are encouraged to contribute ideas. Mentorship: Fynbloem is in the process of introducing a mentorship programme for certain employees who are in management or supervisory roles. The programme will focus on skills such as communication, time management and people management. Life Skills: Life skills training occurs on a one-on- one needs basis. Topics cover anything from obtaining child grants to dealing with domestic abuse. Ethical trading: Fynbloem undertakes not to employ child or forced labour, allow freedom of association and collective bargaining, practise fair and legal disciplinary procedures and eradicate corruption. Application has been made for Sedex membership and a third party ETI audit will follow. 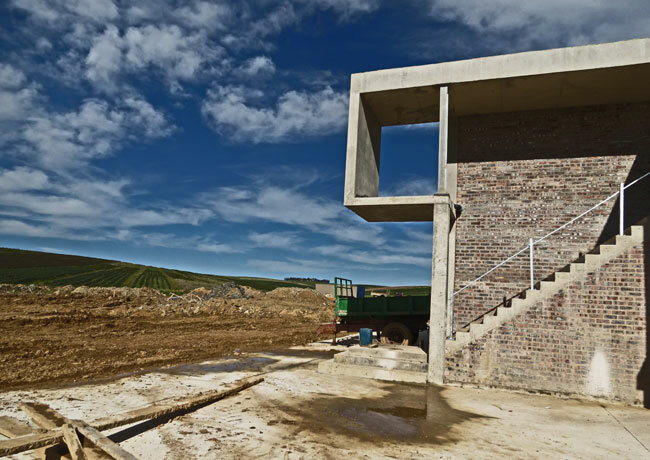 Labour legislation: The company aims to comply with all relevant laws and legislation Policies are in the process of being formalised. Policies have been drafted and will be formalized by end 2011. Safety is paramount: Warning signs are displayed and hazardous areas clearly demarcated. First aid boxes are in place and selected staff has received first aid training. A sick bay will also be constructed. Non-discrimination: A policy of non- discrimination with regards to recruitment and employment practises if followed. Labour relations: Most staff members have been with FynBloem for many years and the low staff turnover is evident of a relationship built on mutual respect and trust. Job Creation: Workers come from the local community and where possible, the company offers permanent rather than seasonal employment. Employment Equity: The majority of the workers come from previously disadvantaged groups. Black Economic Empowerment: A Workers Trust will give selected employees shareholding in the company and give the company a level 3 BEE status. Employee Assistance: Measures such as the introduction of a savings and loan scheme enable staff to fund expensive household assets and improve their standard of living. Team building: Team building events such as. a visit to the aquarium or Robben Island give employees the opportunity to experience something they may not normally have experienced. Indigenous cultures: Fynbloem respects the rights and traditions of the local and indigenous people. Community efforts: Fynbloem regularly donates flowers to local funerals, old age homes, spring functions and community events. Canteen: An in-house canteen will provide meals at cost and serve as a communal area where employees can relax during break-time. Vegetable Garden: A vegetable garden will benefit all staff. Free funeral plan: All staff are provided with a free funeral plan to cover funeral expenses. Pension fund: The introduction of a pension fund is in process. Bonus: Staff earn bonuses when targets are met. 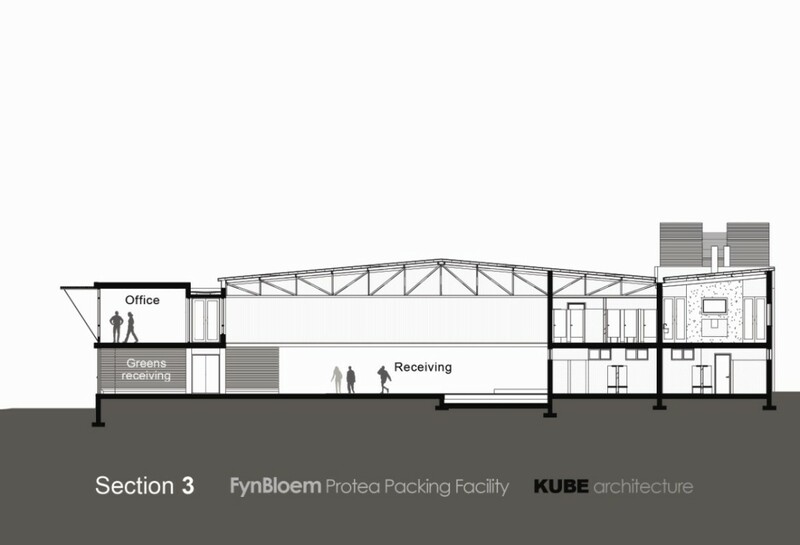 During September 2011 the FynBloem Protea Packing Facility was included in the shortlist for AEC Cafe’s Sustainable Design Awards. We had to put together a short presentation for information purposes. 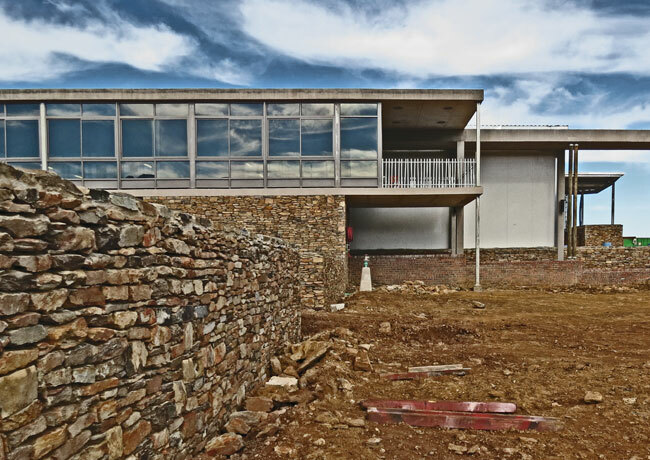 The site was handed over to Hare & Liddell on the 21st of October 2010. The following images were taken during construction. 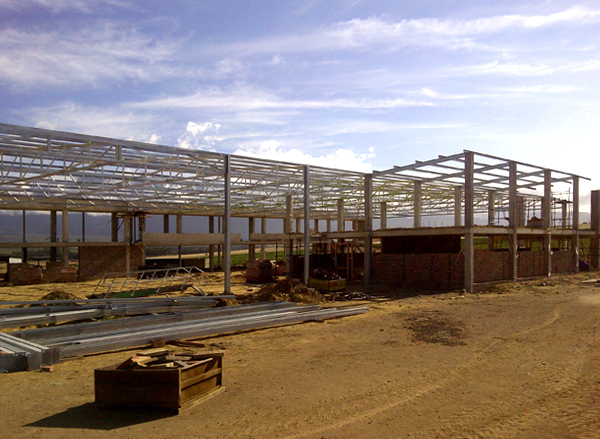 These images were taken at the site meeting on the 19th of July 2012, just after practical completion was achieved.